Earlier this month we saw the release of what Google had planned for their mobile phone store. 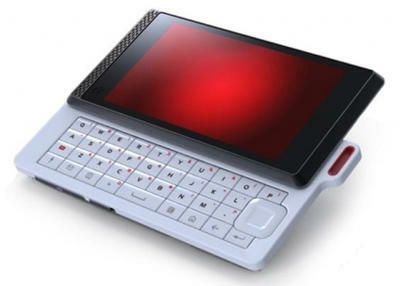 The Nexus One set the precedent for a more intimate relationship of hardware and software manufacturers that Android hadn’t really seen since the HTC Dream or G1 as it’s also called. As nearly everything about the Nexus One itself was leaked prior to Google’s press conference, the real news came in the form of Google’s online shopping experience for best-in-class Android devices. During the press conference on January 5th, both the CEO of HTC and Motorola were present for a Q&A session surrounding Google’s online store. Both had expressed Google’s direct-to-consumer strategy beneficial in helping the companies reach out directly to the buyers. As the Nexus One was manufactured by HTC, Motorola wouldn’t have been present at the event had they not had their own plans to offer the best of their devices through the same channel. Basically, they teased more phones to come. Days later at CES, Andy Rubin, the VP of Mobile Platforms at Google, sat down with Walt Mossberg for a discussion on the state of Android and where Google’s taking it. Rubin brought up the strategy for major Android OS releases to be backed by the best hardware, showcasing the newest software version with a handset that makes those features shine. Rubin suggested an enterprise version of the Nexus One was in development offering up something that would set itself apart from the Nexus One available today. It might have a keyboard, it might have a stronger focus towards exchange, and it might be a phone compatible with carrier frequencies around the world. s turn to feature a device (Nexus Two?) available directly to the consumer. According to Electronista, during a conference call to announce quarterly financial results, CEO of Motorola Sanjay Jha spoke of one device that would be a “direct to consumer device with Google.” No other details slipped through but they’ve clearly got something on the way. 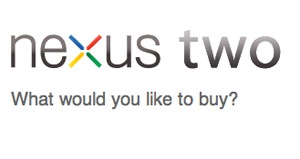 Whether that handset will be Google’s Nexus Two or something else is still up in the air. It’ll be interesting to see if Motorola’s device captures half the hype of HTC’s Nexus One. Is Motorola next in line for a feature in Google’s phone store? What features would you like to see in the next version of Google’s Nexus line? Share some improvements in the comments!